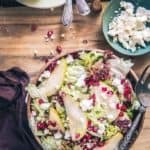 Pear Pomegranate Salad is a healthy and filling salad recipe and is perfect to make during falls when best pears are in season. Here is simple recipe to make pear and pomegranate salad. One of the major benefits of eating salads is that they keep you hydrated plus they are super salubrious to consume. A bowl of salad doesn’t take much of your effort yet they have heaps of nutrients that help you survive throughout the day and keep you nourished. For every season, I try and create a specific menu which helps me and my family to savour the best dishes customized as per the seasons. And just like the main course dishes, I craft different salads as well. For instance, during summer, Perfect Summer Fruit Salad is definitely made by me on repeats and Mediterranean Warm Potato Salad is especially served with soups during the winter. 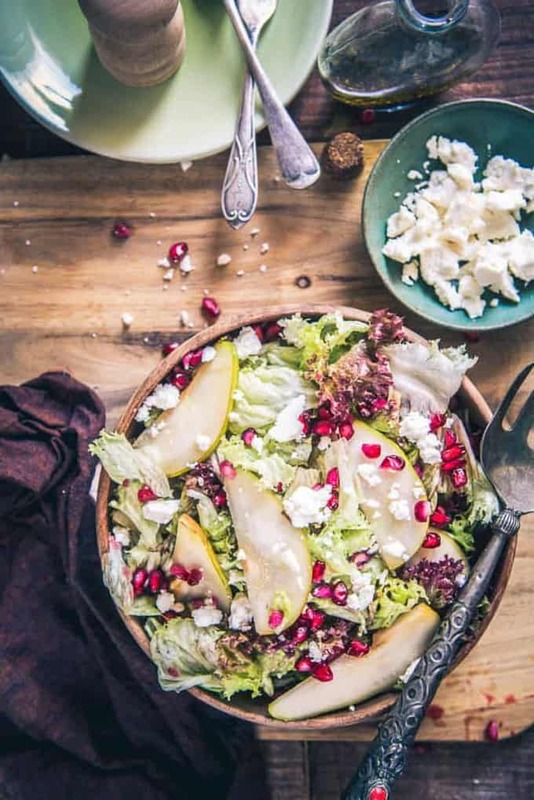 With the onset of winter this year, I have a couple of new salad recipes on my mind already and Pear Pomegranate Salad is one of the first, new recipes that I am sharing with you. 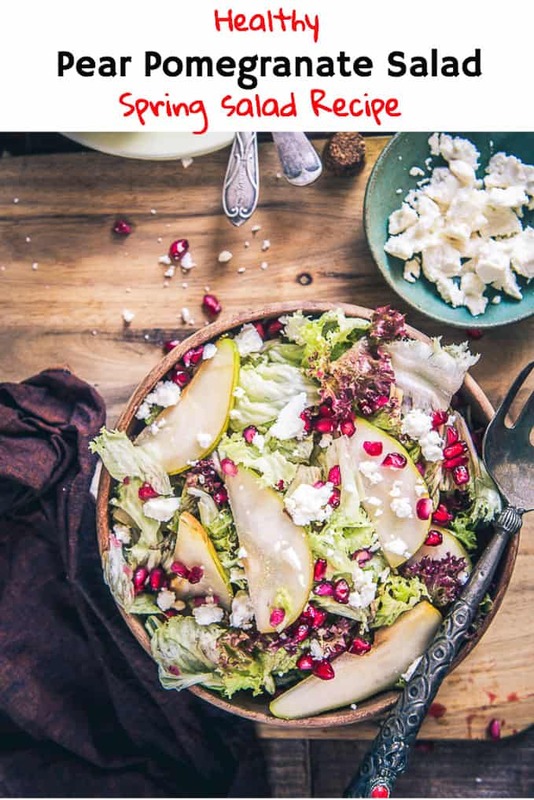 Pear Pomegranate Salad is a soothing fruit based salad that would refresh you to the core. Freshly made from ripe pear and pinkish pretzels of pomegranate, Pear Pomegranate Salad can be had for supper or it is as such ideal for breakfast. Great to be served to adults, elderly and kids, munch on Pear Pomegranate Salad and pump in some more energy in your day. Here is how to make it. Pear Pomegranate Salad is a healthy and filling salad recipe and is perfect to make during falls when best pears are in season. Whisk the ingredients to make dressing in a bowl. Add the salad ingredients in another bowl.